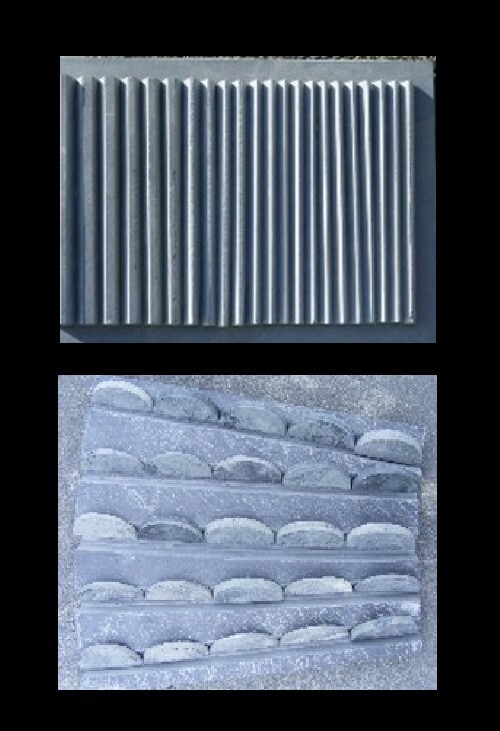 Slate is a wonderful material; it is natural with a range of soft beautiful colours. 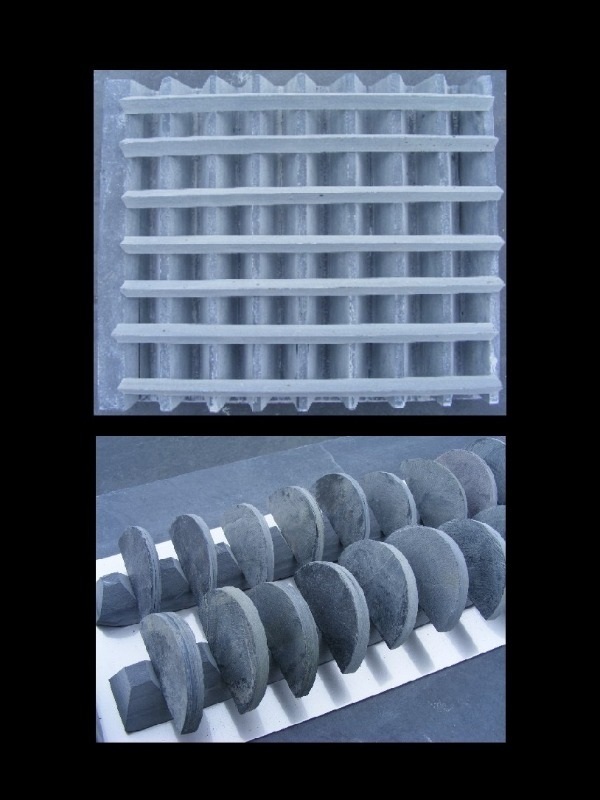 Perryn uses it for construction, cladding, surface texture and carving in a new innovative way which has proven to be very much in demand. 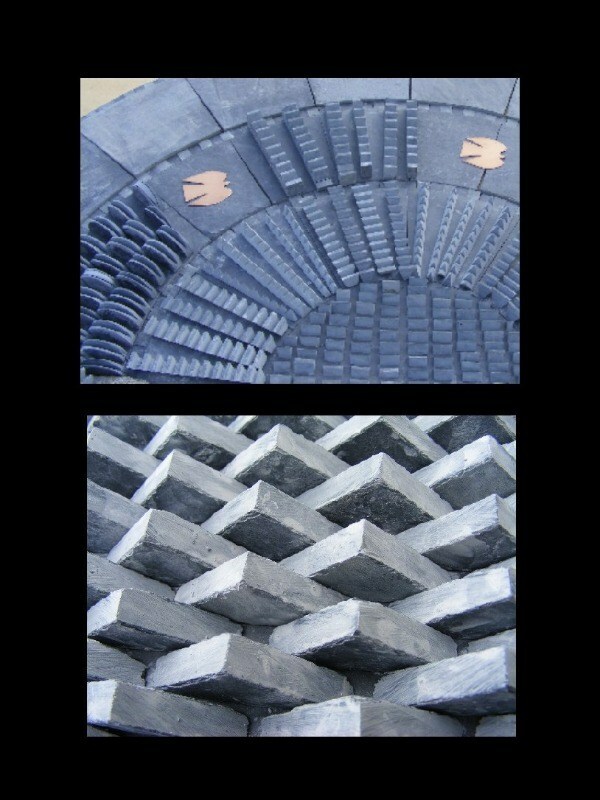 She has created a whole series of Slate Sculptures which have been seen in her Exhibition at the prestigious Kooywood Gallery in Cardiff, and at the International Exhibition in Fulham Palace receiving a great amount of interst from collectors, interior designers and galleries. She became interested in the possibilities of light and shade in slate and the sharp contrasts and shapes created by the shadows. 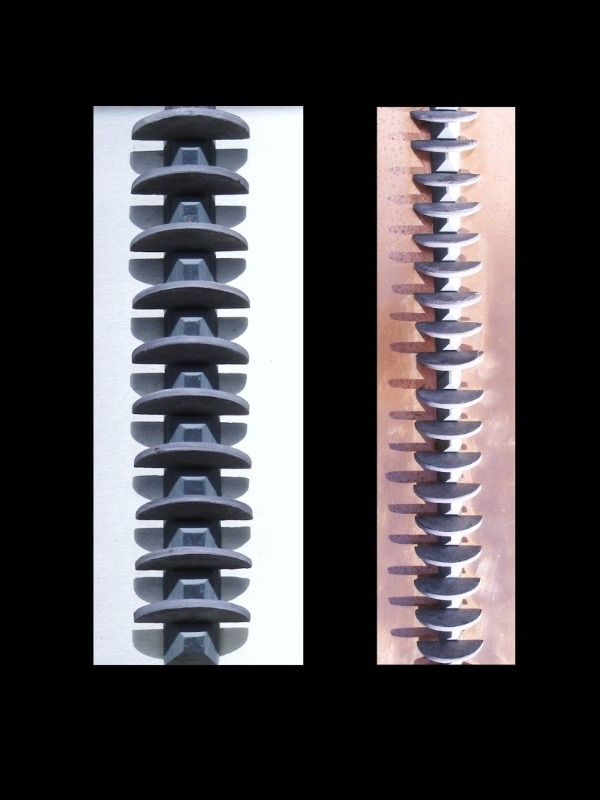 Below the sculptures are some images of pieces she has been experimenting with. They have strong interior and garden design applications as textures and shapes can be repeated as a wall feature or as a free standing element or sculpture which can act as a focal point knitting together the elements of an environment which has been designed in either natural materials or classic pure lines. In her commission for Ysgol y Preseli, for a school sign she designed a piece which reflected the rolling hills nearby. 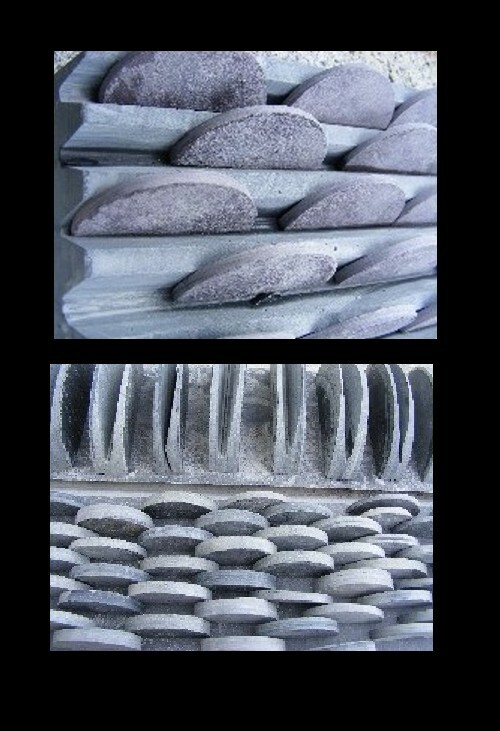 It was constructed of block semi-circles clad in slate with textural design on the front elevation. 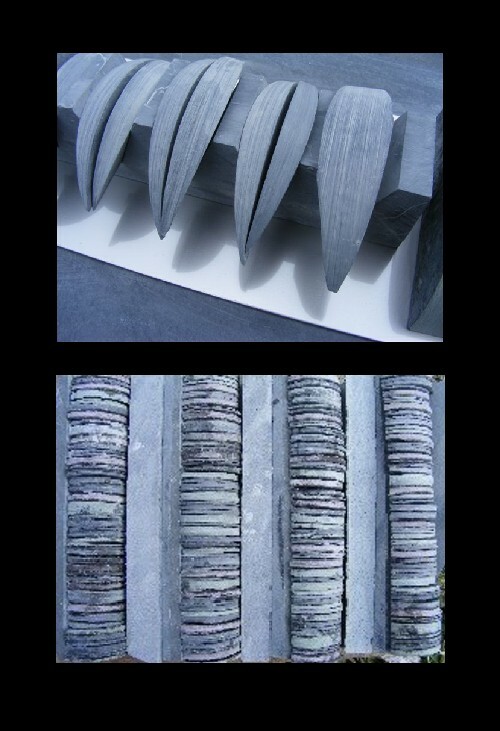 Slate is very difficult to work, but is capable of being cut and polished to a high degree of precision. 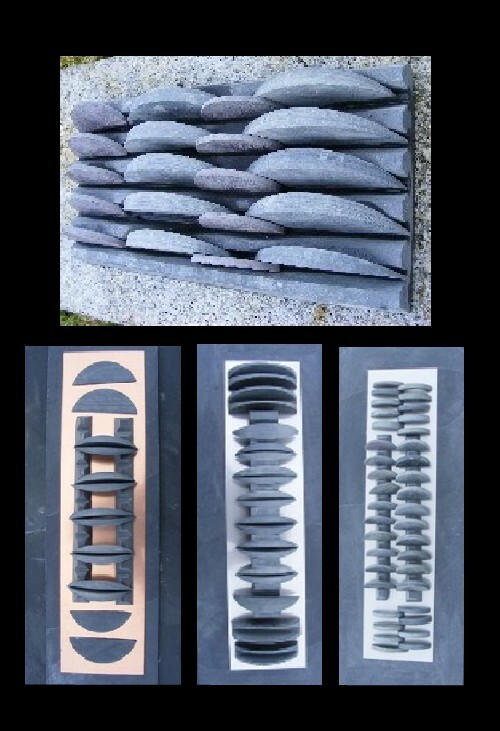 The works below illustrate the way in which Perryn combines forms to make beautiful abstract and textural sculpture out of slate. 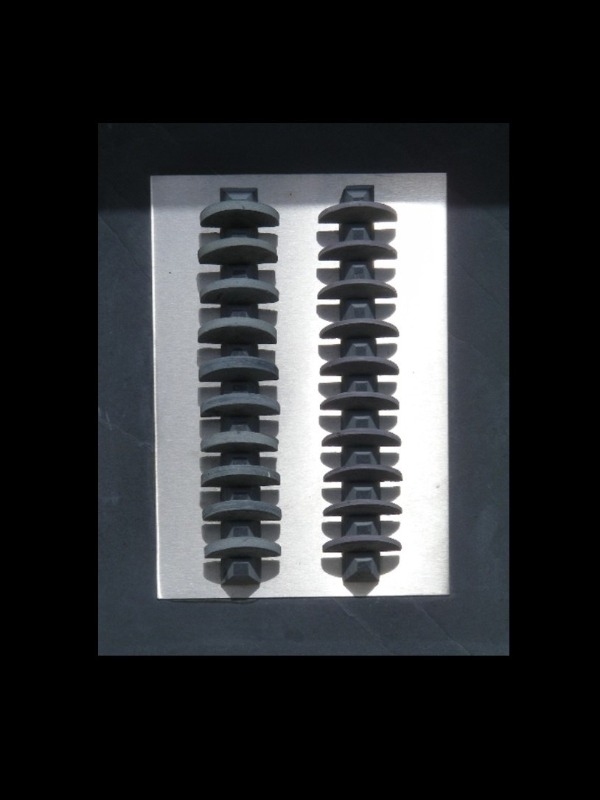 The designs orchestrate light and shade, the polished and rough surfaces; create texture and optical beat with repetition of shape.